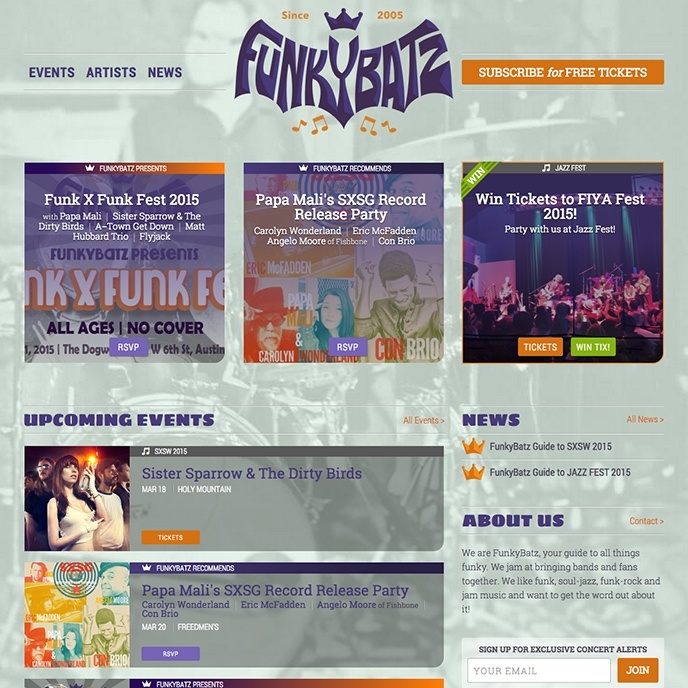 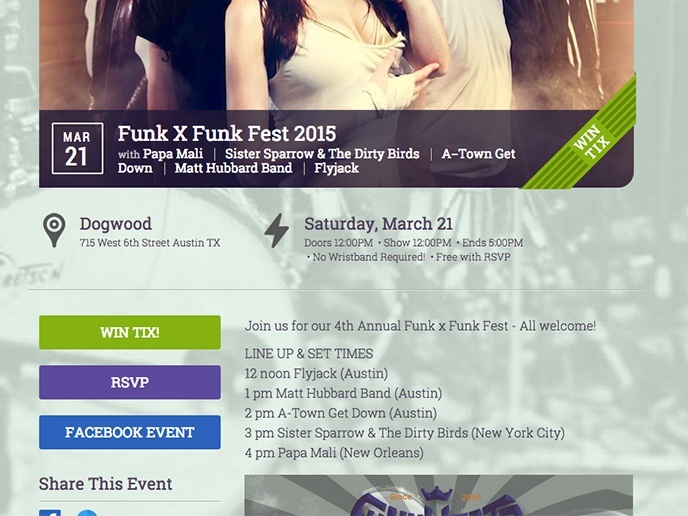 FunkyBatz is a Austin-based music promoter and trusted authority on all things funky. 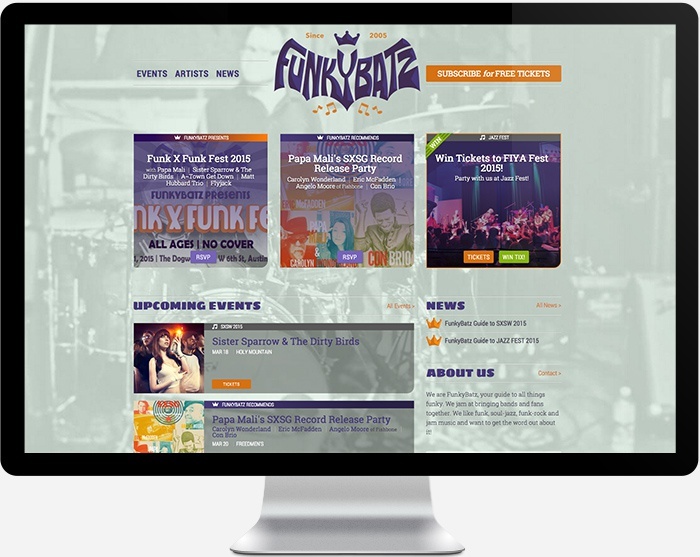 We designed and developed a responsive wordpress-powered website with custom cms features that allows them to promote and curate live music events around the country. 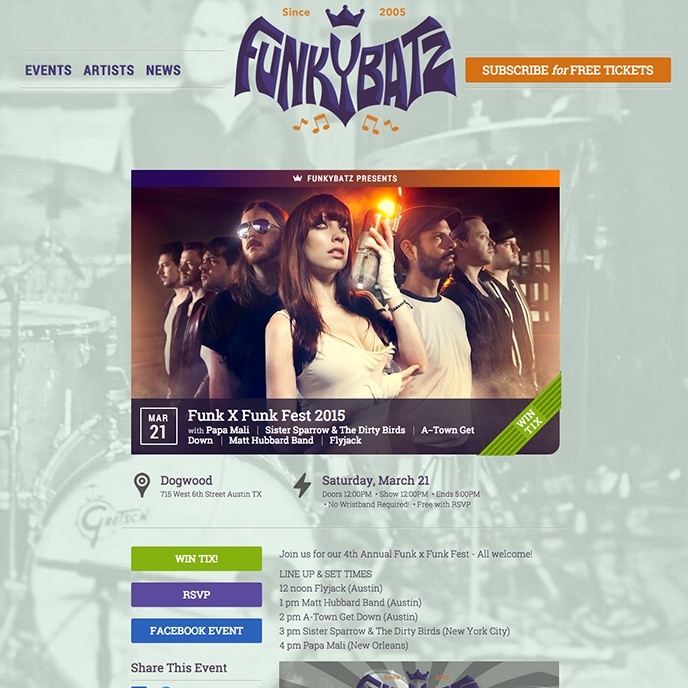 The events listings feature the ability to sign up for ticket giveaway contests and to RSVP for shows– powerful tools to grow their email list and get music-lovers engaged with the brand.